LilGadgets Untangled Pro Bluetooth headphones for your little one. Quite frankly, they're a must when travelling with children, helping them stay entertained, engaged, and most importantly, quiet, though-out the entire journey. Of course, with wired headphones kids can get tangled very easily, resulting in your iPhone or iPad plummeting to the ground. These Bluetooth headphones maybe be a little more expensive, but could save a lot more money in the long run. The Untangled Pro headphones are designed for use during a long road trip or flight, with soft and comfortable ear-cups and a 12 hours of battery life. 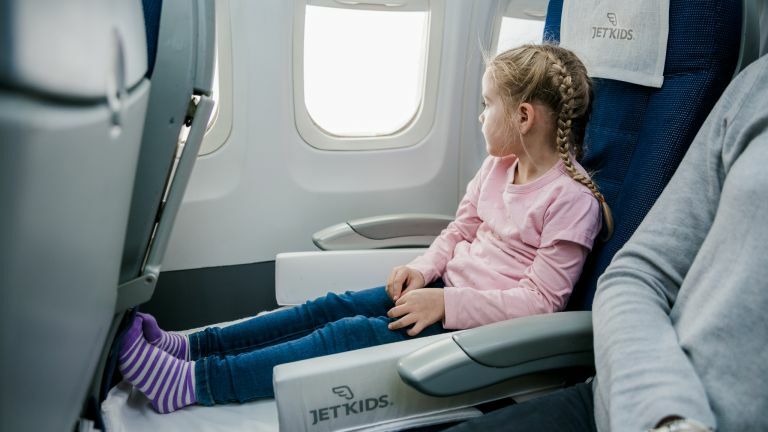 The LilGadgets are made with safety in mind, offering volume limitations to protect your child's hearing and passive noise reduction to drown out plane noise. Even on a loud flight your children should be able to hear them perfectly without maxing out the volume. The Untangled Pro headphones also offer 'Shareport' tech meaning you can connect multiple headphones to a single device, making sharing, if you're travelling with more than one child, much easier. A USB charging cable is included, as is a 3.5mm cable, so even the journey outlasts the battery, your child can still listen the old fashioned way. There are six colour options available, and a portion of each purchase goes towards bullying prevention and awareness in schools through partner organisations.